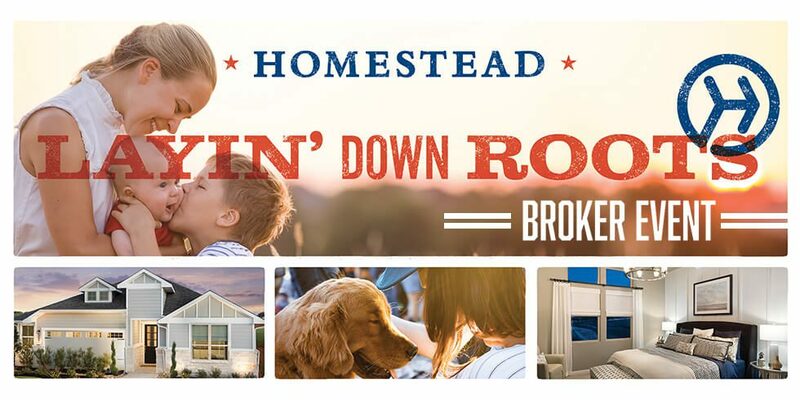 Join us for the Progressive Luncheon Model Home Tour – an exclusive Broker event at Homestead – on THURSDAY, MAY 10 (11am-1pm) to be held at 5853 Homestead Blvd, Cibolo, TX 78108. Lunch will be three delicious courses: salad by CAFEZINHO, main dish by RIVER HOFBRAU, and dessert by SCOOPED COOKIE DOUGH BAR. We will also be giving away promo items, sharing community information, and raffling off items from CASTLEROCK COMMUNITIES, PULTE HOMES, SCOTT FELDER HOMES and Freehold Communities.